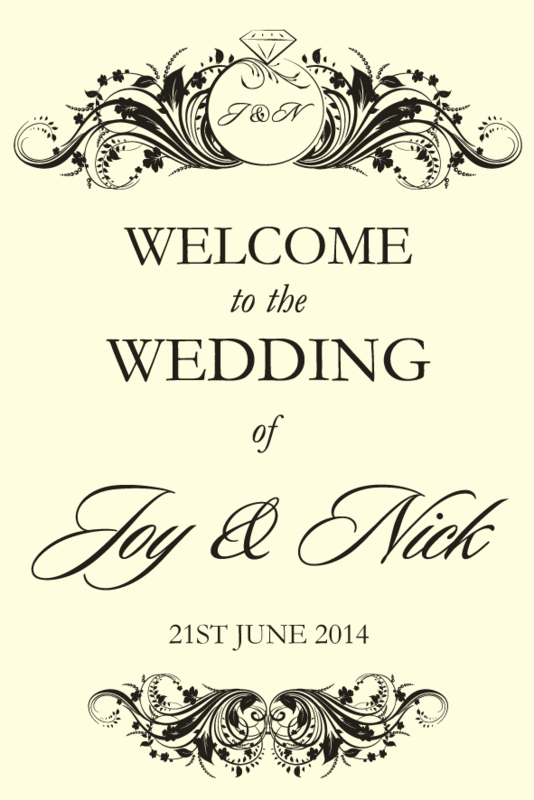 Joy & Nick asked me if I would do their stationery, after being guests at Emma & Leigh's wedding. 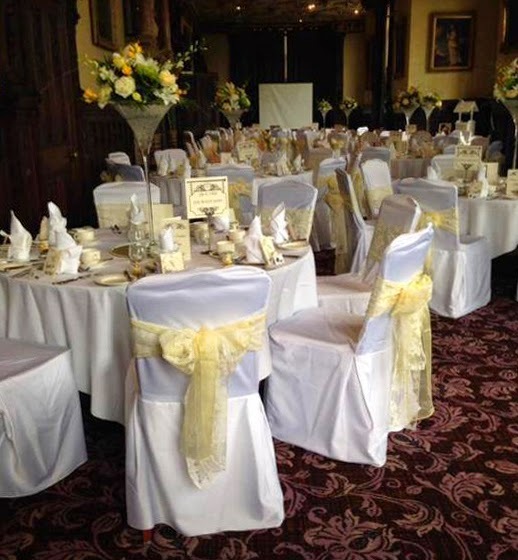 They had already purchased day invitations from an internet company and wondered if I could do the evening ones to match as well as everything else they needed for the wedding day itself. I was delighted. Once the evening invitations were designed and completed, the rest of the stationery followed. 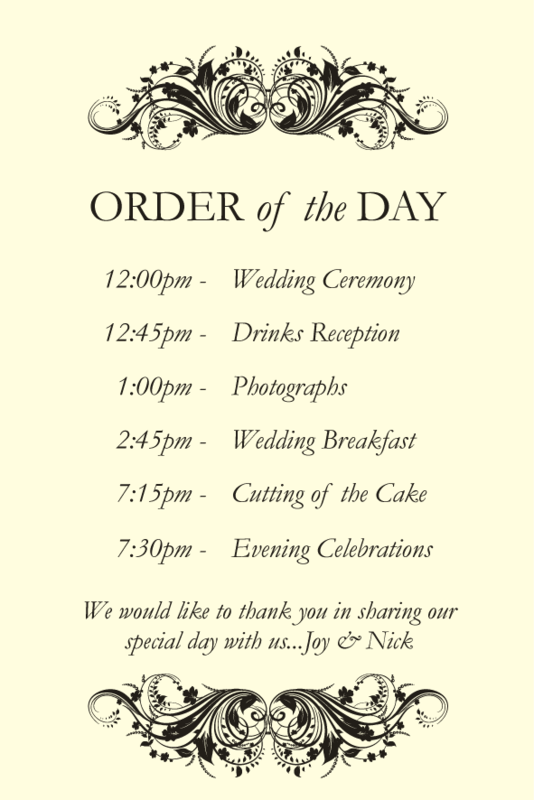 They felt that an order of service was not really required, but loved the idea of a welcome card, with an order of the day, on the reverse. 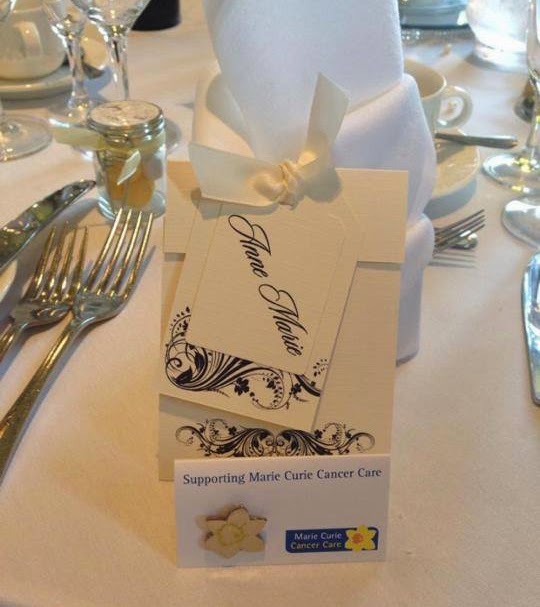 The tables at the wedding breakfast were being named after the local pubs that they visited since they met each other. 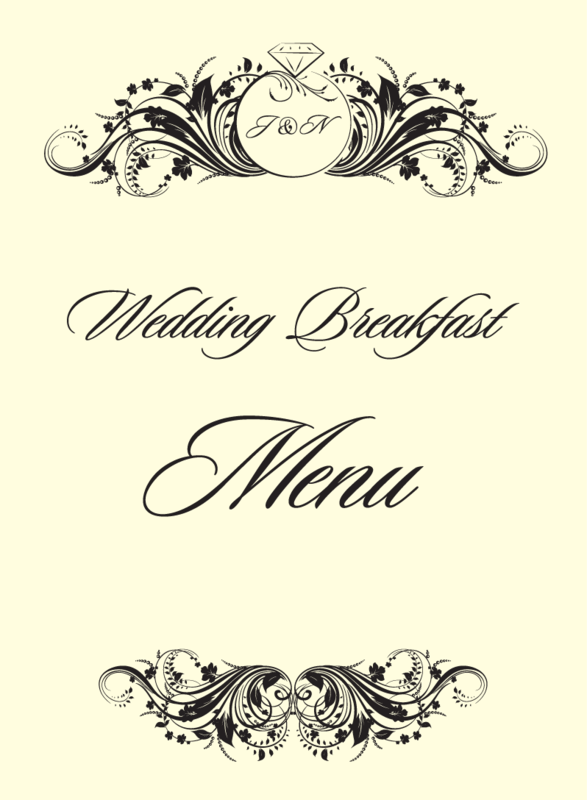 This gave me the idea to create an old fashioned style pub sign for the individual tables and the table plan. 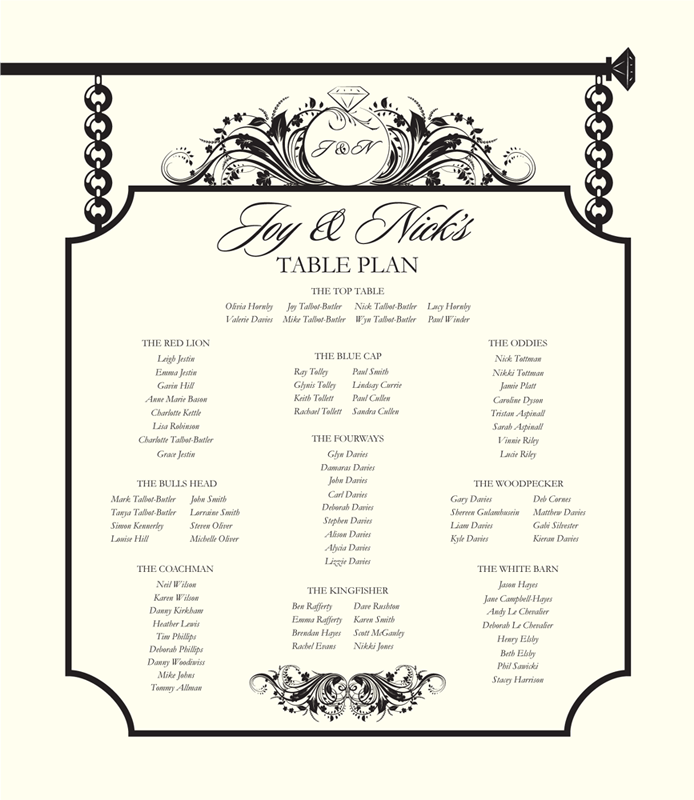 The table plan was framed in a large picture frame and displayed on an easel at the venue. 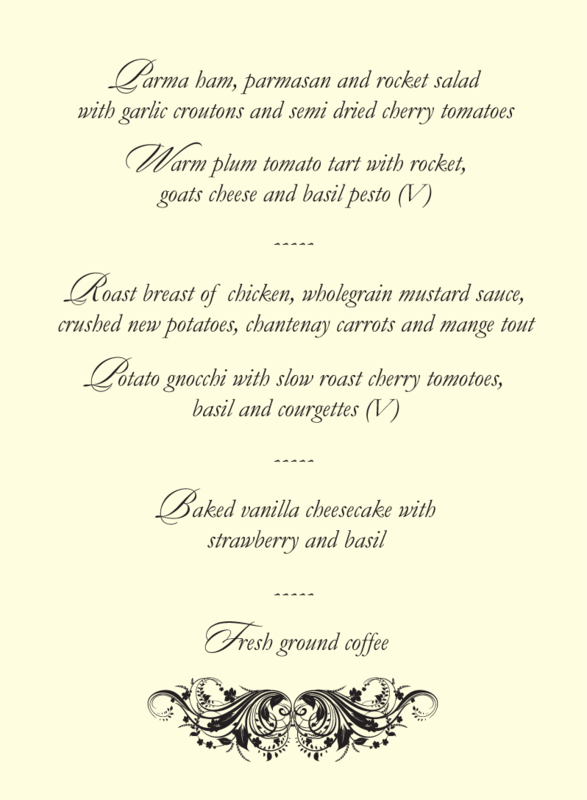 On each of the tables were two copies of the menu for the guests to read. Joy also asked for a small folder of some sort, that could hold a card on which she could write a special message for each guest. 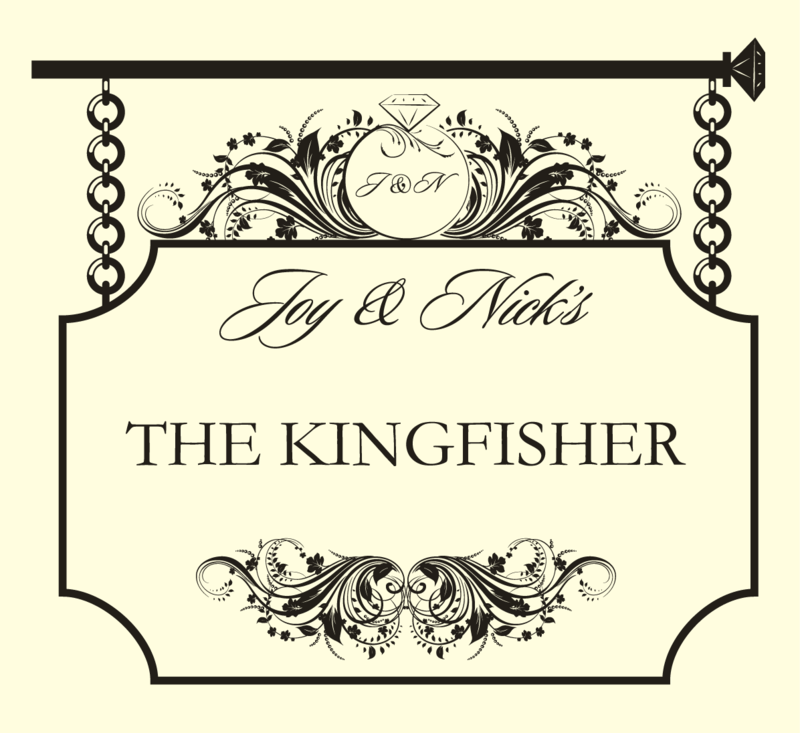 I designed a folder for this purpose but then also added a tag with the J & N logo and another tag for the guest's name, so that this could, also, be used as the individual place names around the tables. I dropped off a sample of this, to see if Joy liked it. She loved it. Which pleased me immensely. 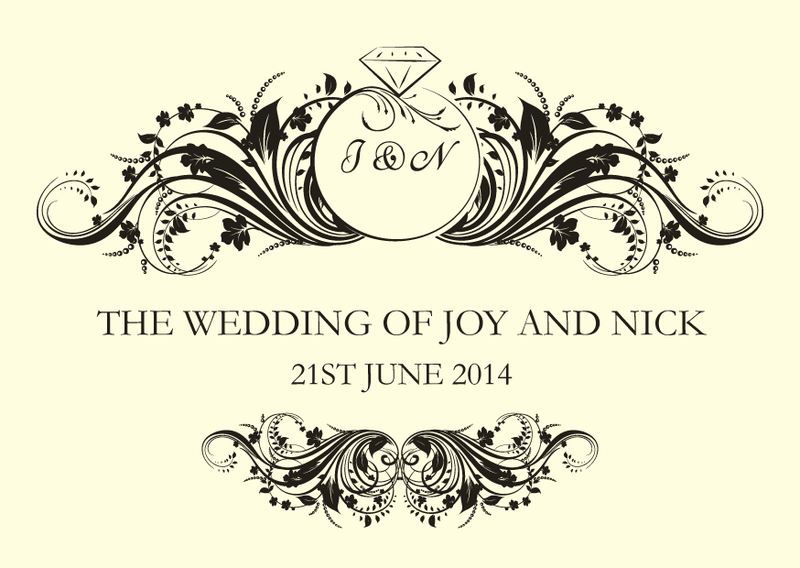 Joy & Nick had a fantastic day (and evening) celebrating their marriage. I was lucky enough to have an evening invitation and when I turned up they both gave me a big hug and couldn't thank me enough for the 'beautiful stationery' I had done for them. It might have been a bit of the wine talking, but it made me extreamly proud of the small part I played in their big day.